I truly believe that the worse “new teaching” from the world today is the one of self esteem. This teaching is definitely not scriptural and it has done so much damage to young people, especially teen girls. It is not a new teaching but it is certainly more prevalent in today’s world than in the past. Everyone is focused on me, myself and I. What’s in it for me? You offended me! You hurt my feelings. You’re no better than I am. Don’t tell Katie, who’s in the tenth grade, that she is only reading at fifth grade level, you’ll ruin her self esteem! No where in God’s Word does it say that we should esteem ourselves! Why do you think people are conceited and full of themselves? They have been “self esteemed” to the point where they think the world owes them everything! Merriam’s definition is quite diluted, isn’t it, teen girl? What do you think God’s Word says we are to esteem? God’s Word should be esteemed. If you were to place the emphasis of Merriam’s definition for esteem to God’s Word, you would not be totally convinced that it deserved such a high rating, right? But if you put Noah’s definition, you see that the Bible is to be prized and reverenced. This is a much different viewpoint! No wonder the worldly Christians do not look to the Word of God to change them. They don’t revere it, therefore, it’s impact on their lives is minimal. Does God regard esteem as sin? God considers it an abomination if you esteem that which is ungodly. We should esteem the brethren better than ourselves and we should esteem those who are over us – our deacons and our Pastors. No where in my 27 years of salvation have I ever read in God’s Word that I should think highly of myself. If I love the brethren, they will always take precedence over me. Paul says that our love for each other will cause us to be longsuffering with each other, be kind to each other, not envy one another, and not think highly of ourselves. My friend, these are not the Bible verses encouraging us to have self esteem! These verses are encouraging us to be humble, meek and low in pride. 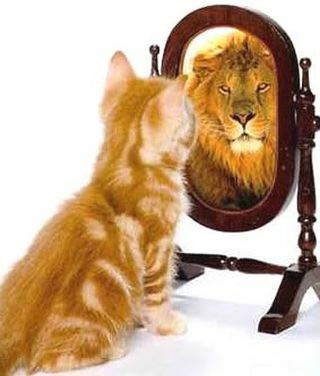 What will happen to the one who thinks highly of himself?